Gwyneth Wallace escapes definition when it comes to the world of beauty. From her lifestyle to her brand, she dips her toes in many waters, all unified by her company’s underlying values. As a savvy business woman and mother of five, Gwyneth splits her time between Martha’s Vineyard, where she was raised since the age of 12, and Hawaii, where she lives during the off season. 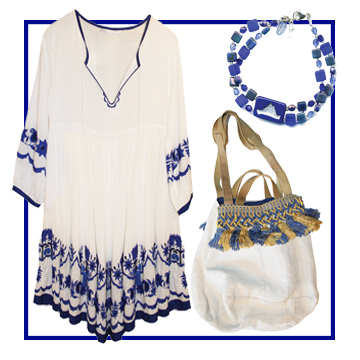 As the creator of Bluewave Body Company, Gwyneth creates products that incorporate the beach-centered wholesomeness of her island lifestyles, without eschewing the sophistication that first drew her to the beauty world. Her products are a far cry from the DIY aesthetic of other pared down beauty brands – think Glossier but with a beachy yet modern feel. In Gwyneth’s creative mind, luxury and simplicity aren’t mutually exclusive; self-care can also be an act of indulgence. Gwyneth has been a passionate beauty consumer for years and rather than filling a gap with her products, she sees them as an answer to the overwhelming inundation of products. A one-stop shop for the discerning customer that’s accessible without sacrificing thoughtfulness, sophisticated without being fussy, and above all, clean. Clean beauty to Gwyneth means effective, non-toxic, and ethically sourced ingredients (often from island vendors) in the smallest necessary quantities. She explains that the beauty industry is highly unregulated, and the word natural applies to a broad and misleading array of products. This prompts her to do extensive research on all her ingredients to ensure they are non-toxic and ethically sourced. Custom gift baskets make gift-giving season easy and fun! A full ingredient list and their benefits are published for every product on the website. Each beauty product consists of a simple base recipe and every ingredient added to the base has a purpose. Ingredients such as coconut oil, which is widely recognized as the superior ingredient in hair and body products. It yields amazing hydration and helps skin retain moisture, so it’s perfect for preventing dry skin. It also has anti-bacterial, anti-fungal and anti-oxidant properties, to help repair damaged skin and keep it healthy. Coconut oil is the base for all of Bluewave Body Company’s lotions. Shea butter is also a well-used ingredient in most of Gwyneth’s beauty products. It’s an excellent all-over moisturizer that helps promote cell turnover and regeneration. It has a high content of essential fatty acids, and is a natural antioxidant and anti-inflammatory for the skin. It can be used on all skin types and can aid in the treatment of eczema, psoriasis, and sunburns. All of the Refreshing Body Washes contain glycerin, which is a natural humectant that draws moisture from the surrounding environment. It is one of the foremost ingredients used help keep skin hydrated. Glycerin is extremely gentle and mild, making it suitable for all skin types. Gwyneth chooses ingredients based on clients, family, and marketplace needs. Sometimes the ingredient serves as the inspiration, like a coconut oil infused with hibiscus that she recently brought back from Hawaii. As impressive as this is, Gwyneth did not initially consider herself a creator. 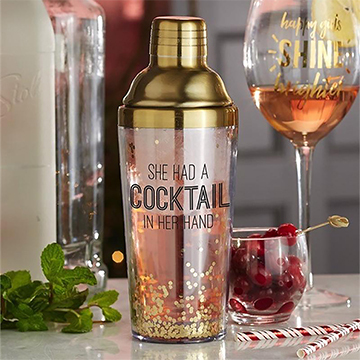 Her first thought was to break into the business through private labeling. Unable to find the right fit and unwilling to settle, she began experimenting in her own kitchen, thus making her first product; a thick rich body butter with Hawaiian oils that are still a staple in her line today. Countless hours of research, hard work, and rigorous testing all prove that Bluewave Body Company is not a hobby for Gwyneth. She is as passionate and dedicated as she is multi-faceted, overseeing every aspect of her business from ideation and manufacturing to research and quality assurance. Ever mindful of her clients’ lifestyles, Gwyneth recommends a good, basic skincare routine consisting of a lotion, lip scrub, and face mask for the harsh winter ahead of us. Bluewave’s Honey Mask, their biggest seller, contains raw honey, (local when possible), which clarifies and exfoliates without drying out your skin. It’s Gwyneth’s go-to product to help rebalance the skin. Follow up with the Everyday Nourishing Lotion, a lightweight moisturizer made with shea butter and coconut oil to protect skin against winter dryness. For chapped lips, the Sugar Lip Scrub exfoliates the lips and helps them absorb more moisture. 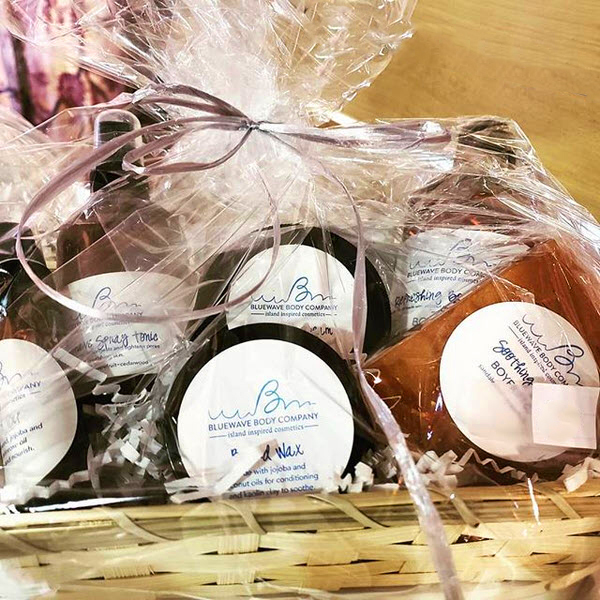 For the Holidays, Bluewave Body Company has plenty of gift sets, prepackaged for everyone on your list. Choose between a selection of soothing bath salt sets, skin smoothing sugar scrub sets, heavenly scented lotion sets, and even cheekily dubbed “boyfriend” products for men. 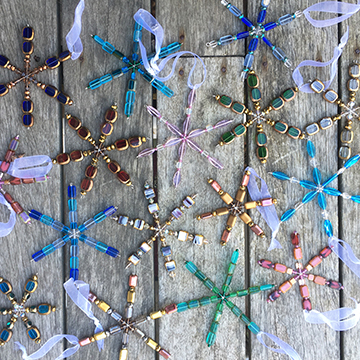 You can find Bluewave Body Company set up at the Vineyard Holiday Gift Shop on Spring Street in Vineyard Haven, The Vineyard Artisans Holiday Fair and at Christmas in Edgartown. 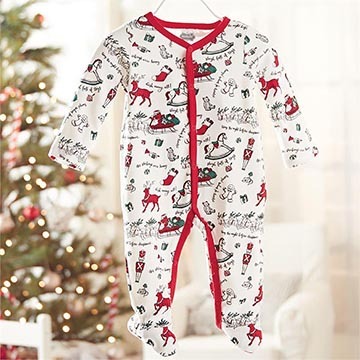 Be sure to visit www.bluewavebodycompany.com for more information and holiday pop-up showings, as well as to purchase products online. 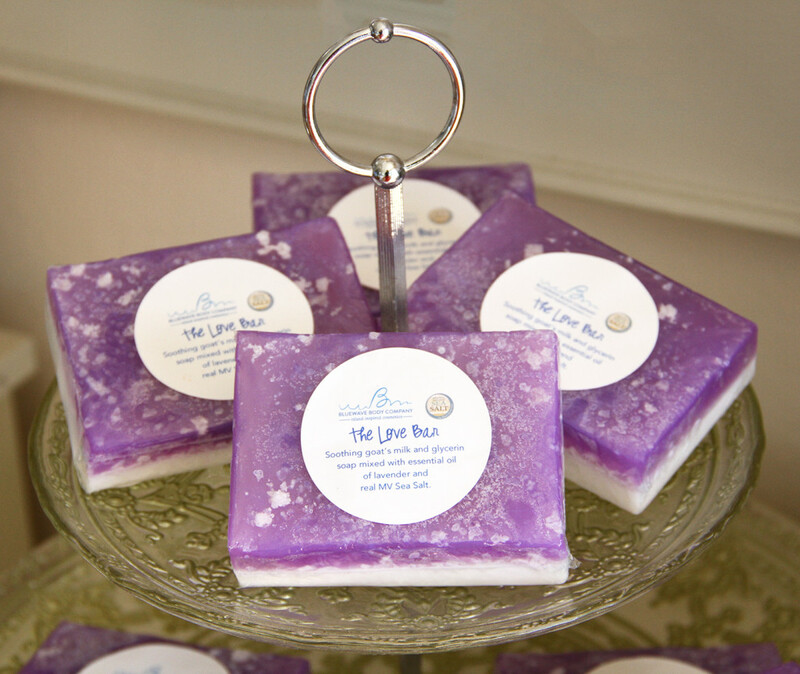 Bluewave Body Company offers free delivery if you live on the island. 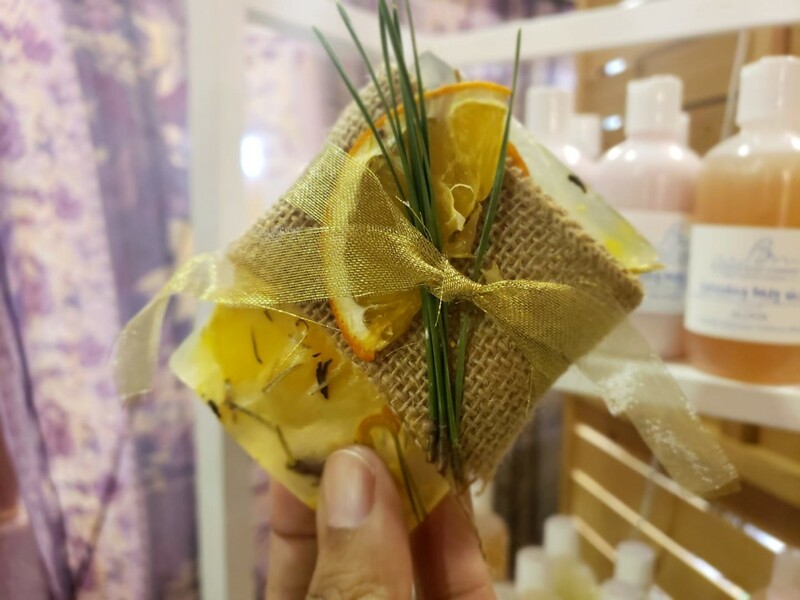 Bluewave Body Company hosts monthly DIY nights for those wanting to try their hand at creating their own signature scented beauty product. Follow @bluewavebodyco on Instagram and check the website for upcoming dates. Keep an eye out for fun partnerships too, like makeover nights at the Mansion House where you can try out Bluewave’s ever-growing makeup line, including their popular mica-based glittery eye shadows and vibrant lip glosses. 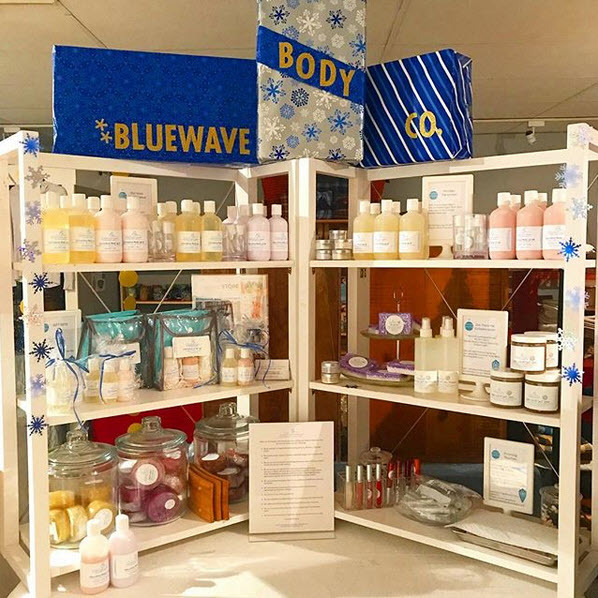 With an expanded makeup line, workshops, and new skincare products, there’s plenty to look forward to as a Bluewave Body Company fan. So, take a page from Gwyneth’s book; pursue your passions with confidence and take pleasure in taking care of your skin while you get there. It feels good, and from a company built around an ocean lifestyle, that’s the bottom line- #liveislandstyle.